1. Wash rice. Drain water. Roast with one teaspoonful of ghee for few minutes in medium flame. 2. Transfer rice from pan to a thick bottomed deep vessel. Add milk. 3. Cook rice in medium flame. 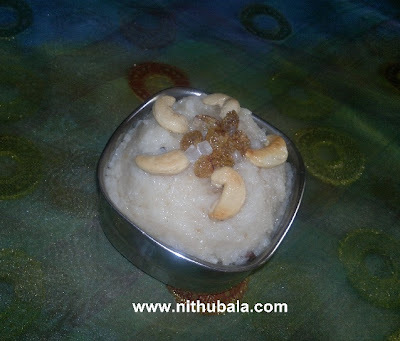 Once cooked, add kalkandu, cardamom and edible camphor.Keep stirring the contents till kalkandu is dissolved completely. 4. Add ghee and mix the contents well. 5. Garnish with ghee fried cashew and raisin. 6. Serve warm with a dollop of ghee. 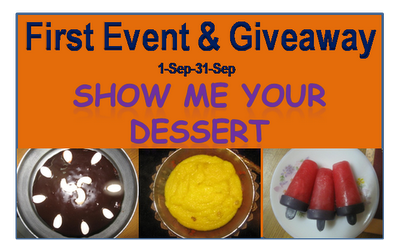 This Kalkandu Pongal & Sakkarai Pongal make their way to Pari's First Event & Giveaway. Very traditional sweet...Its been very long time I have tasted this...flavorful pongal! 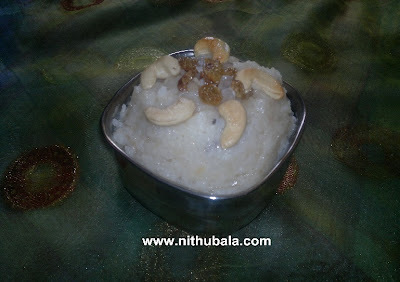 Very new to me, super delicious pongal. we love this!!! so yummy and festive!!!! Very authentic and delicious one !!!! Traditional pongal.. perfect for neivedhyam! !